I have a secret obsession with collecting pretty fonts! I'm adding a few of these to my list! I love having a fancy font in my Valentine's card! Super cute. 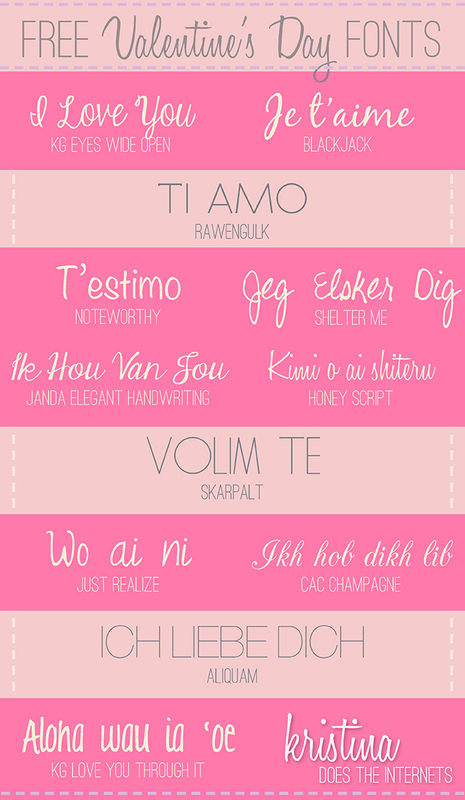 These are so cute, how fun to have Vday fonts! yay for fun fonts! thanks for sharing! I just downloaded some new fonts this weekend, I'll add these to my list too! These are all fabulous - espceially the Blackjack, but maybe I was just drawn to that one because you used it with French - J'adore francais! This is great! I'm always looking for new fonts for picture-editing. i really love these fonts, thanks for sharing! Love your blog!